Nicely captured, you captured the photographer, who probably captured you too. A great start capturing this celebration. Wonderful shot! Another great capture. Love the red light reflections. Well done. You captured the action very well. Very timely and appropriate for the day. Nice documentary shot. Vivid action shot! I wonder if the photographer saw the flare fragment heading straight for his lens! Thank you, all of you. I had so many shots I feared it would be difficult to choose one, but this one really stood out. There's a triangle of photography happening here, around this guy! 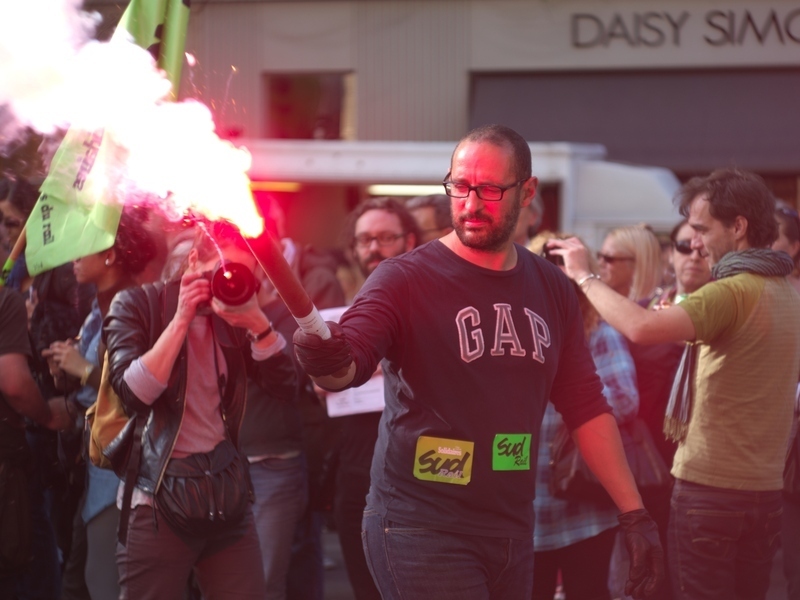 Arnaud, looks a bit dangerous - this is a fantastic editorial/journalistic shot. Well done!